And when the world seems to be ending, Tata Motors is still hopeful of churning money out of their Indigo series of cars. 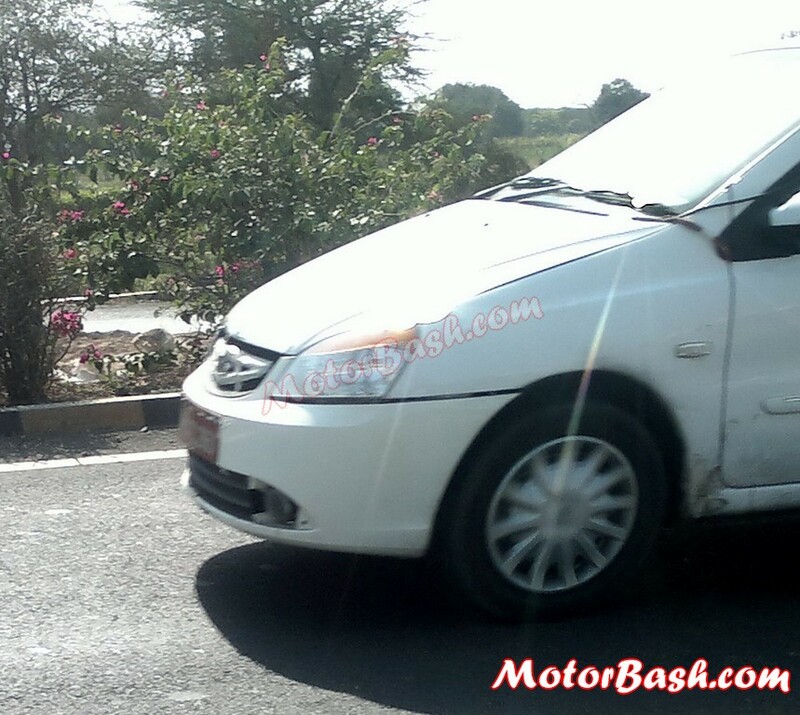 Pictured here is the facelift of Tata Indigo eCS. Tata gets the credit for launching the country’s first sub 4 meter compact sedan by shortening the Indigo. The end result was, surprisingly respectable and was named Indigo CS which, in further revisions became Indigo eCS. Now, when Tata’s market is down to their lowest, they are trying various different strategies to get back in the game. One of them is this facelift of their small sedan Indigo eCS. 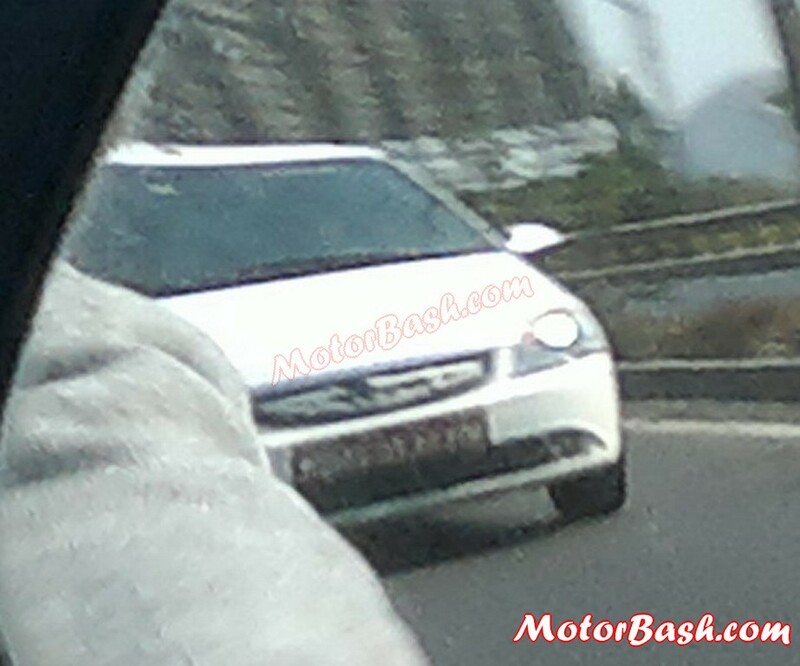 These are exclusive and conclusive spyshots of the car which was caught on the road testing. At the upfront, the smart looking grille is the most noticeable change. Second mention should go to the new fog lamps. That completes the list at the front. Moving to the back, the rear bumper now gets dual tone shades. There was test equipment wrapped inside the car, wires and a few bits of which can be seen at the left window and over the top. This might mean a few changes to the mechanicals as well. This was the diesel second-from-top LX variant. Its not clear whether this was the TDI engine or the CR4, but the car appeared zesty without emitting a lot of smoke. Tata is also expected to refresh the dull interiors and offer the new variant at about the same prices. 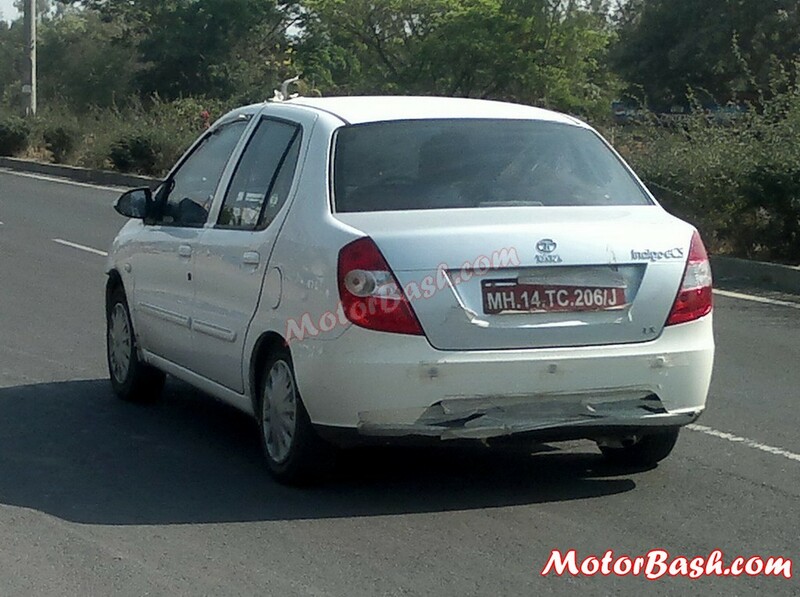 Tata is also working on a CNG variant of the Indigo eCS which has also been spotted on the roads. Launch of both these cars is expected to take place before or around middle of this year. Tata has taken a hard beating and the manufacturer, which once held the 3rd spot in India, has slipped onto the 5th spot in terms of number of monthly units sold. The company is reorganizing and has a lot of new launches planned for this year. Read our comprehensive list of all Tata’s upcoming launches for 2013 and 2014.